At the turn of the century, electric vehicles were outselling gasoline and steam cars combined, and no wonder. Gasoline cars were smelly, hard to start, deafeningly loud, and their transmissions were difficult to shift. Steam cars were heavy, dangerous, required frequent water refills, and could take the better part of an hour to warm up. 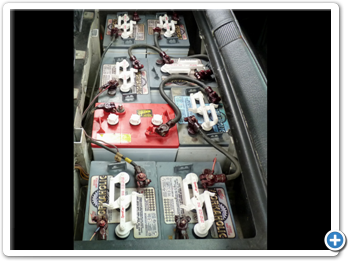 Battery powered cars, on the other hand, were quiet, smooth, and relatively easily driven by men and women. Over the next decade, sales of both electric and gasoline cars increased--but gasoline car manufacturers gobbled up market share as their customers began taking longer trips. Falling fuel prices and mass production put gasoline-powered cars within reach of the general public and by 1935 the electric car industry was virtually dead. 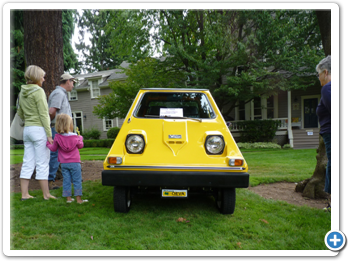 In 1974 electric car production experienced a brief resurgence, notably with the CitiCar (manufactured in Sebring, Florida) and the Elcar (by Zagato of Milan, Italy). 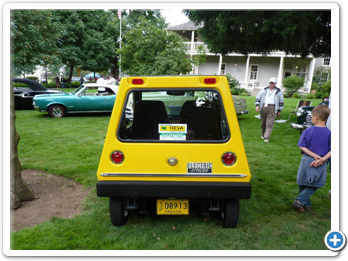 An excellent example of a 1974 CitiCar was recently displayed at the Columbia River Concours d’Elegance in Vancouver Washington. Showing the car (for its owner) was Bill Price, the vehicle’s restorer over the last five years. A background in electrically-driven equipment led Price to begin restoring the CitiCar. 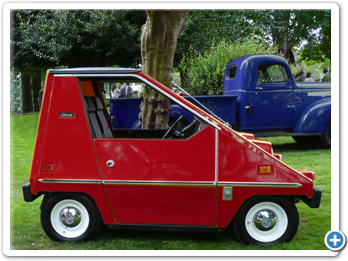 The CitiCar had only 800 miles on it making the restoration easier as the mechanical parts did not have much wear. The CitiCar’s body was in good shape but the front of the vehicle was weathered. The instrument panel has only two gauges: a speedometer and a volt meter. 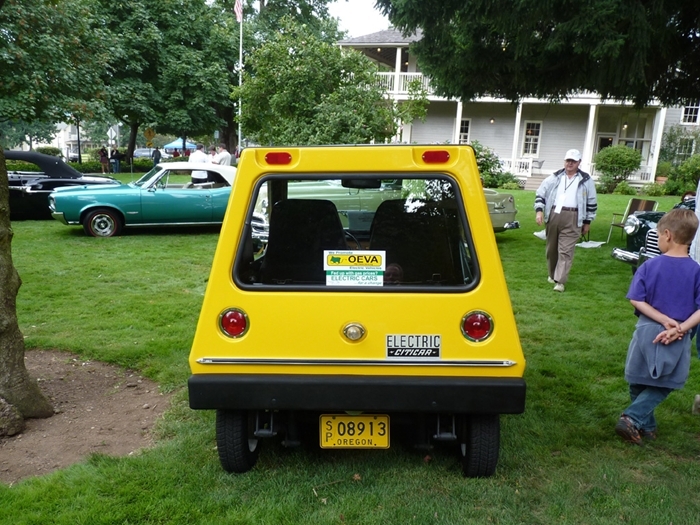 This CitiCar is powered by eight six volt, deep-cycle golf cart batteries. It will cruise at 35 miles per hour and go about 20 miles between charges. 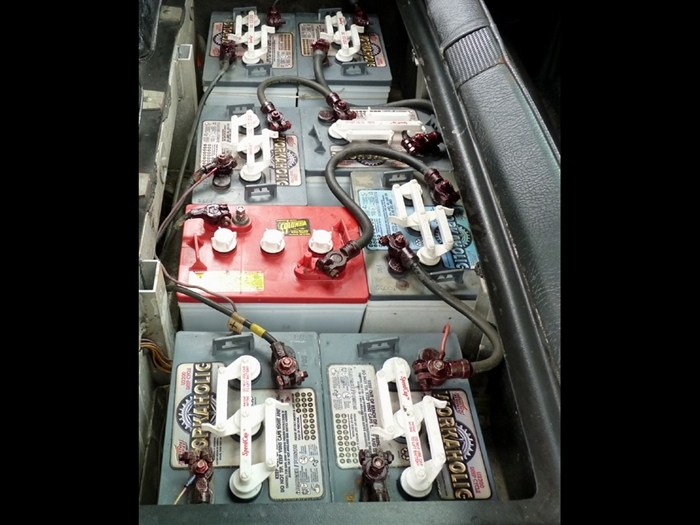 The eight batteries are arranged in two packs, each supplying 24 volts. When the accelerator pedal is depressed, a series of micro switches are activated. The first runs the packs in parallel for a total of 24 volts but decreases power to the motor with a NiChrome ribbon resistor, taking the car up to 11 mph. The second switch closes a solenoid that bypasses the resistor, taking the car up to 23 mph. 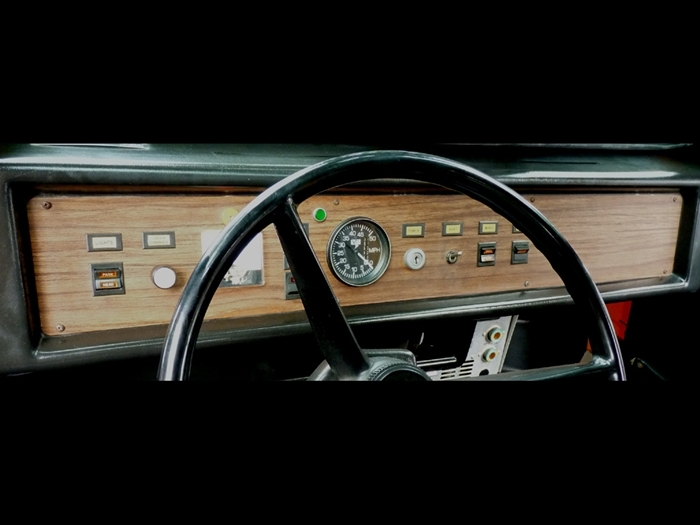 The third switch runs the packs in series, for a cruising speed of 35 mph. Bill Price was in the industrial service business for 45 years, much of that at Hyster Company, so he has plenty of experience with electric motor controllers. He’s looking forward to upgrading the Citicar with an Alltrax solid state controller and a modern motor. 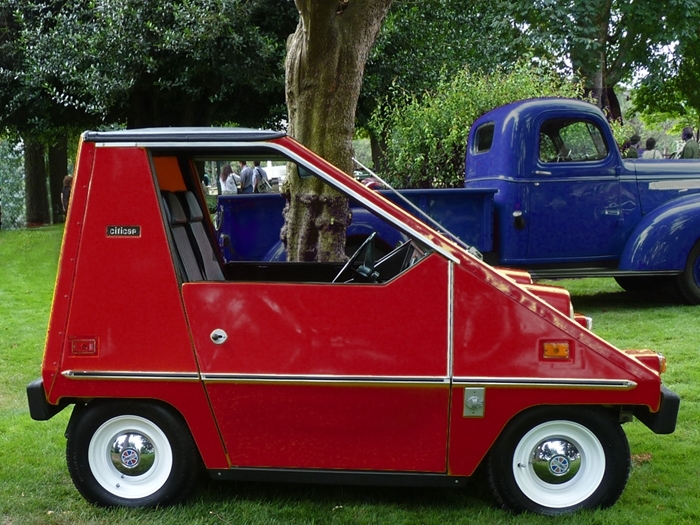 At this point, you might be wondering what it would be like to drive a CitiCar. 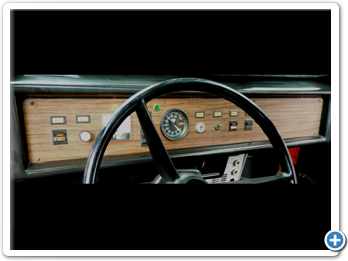 In one magazine article the reviewer felt cramped, claiming that the rear-view mirror was just inches from his right ear. But Bill Price has a different take. And indeed, the Sebring Vanguard CitiCar quality is an obvious cut above today’s similarly-sized, imported Neighborhood Electric Vehicles. This illustrated history chronicles electric and hybrid cars from the late 19th century to today’s fuel cell and plug-in automobiles. It describes the politics, technology, marketing strategies, and environmental issues that have impacted electric and hybrid cars’ research and development. Unprecedented secrecy surrounded the early development of General Motors’s Impact. Author Shnayerson watched the story unfold from a position of access never granted a reporter before--literally from the inside of the pace-setting GM Impact program. This is the first book to penetrate the silence surrounding GM’s risky and successful decision to become the world’s first mass producer of the electric car. A politically polarized America is coming together over a new kind of car--the plug-in hybrid that will save drivers money, reduce pollution, and increase US security by reducing dependence on imported oil. Plug-in Hybrids points out that, where hydrogen fuel-cell cars won’t be ready for decades, the technology for plug-in hybrids exists today. Unlike conventional hybrid cars that can’t run without gasoline, plug-in hybrids use gasoline or cheaper, cleaner, domestic electricity--or both. Although plug-in hybrids are not yet for sale, demand for them is widespread, coming from characters across the political spectrum. This book will help you find the truth about using electric cars including range, charging, batteries, environmental impact and everyday use of plug-in cars. Get all the information you need on the revolutionary vehicles that are gaining popularity in today’s automotive industry. This book addresses the movement of technology towards new and upcoming electric vehicles, with a focus on the hybrids in use today and the fuel cell vehicles of tomorrow. Expansive coverage includes the political and social impact of these vehicles, as well as the basic theories of alternative vehicles as they relate to construction, electricity, batteries, and motors. Surprisingly, the CitiCar was not a knee-jerk response to the 1973 Oil Crisis. 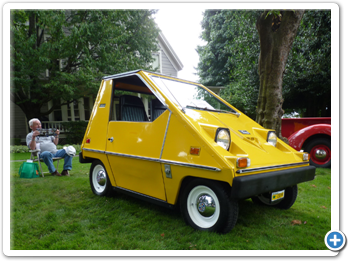 The CitiCar was the brainchild of Robert G. Beaumont, who started thinking about an electric alternative car in the mid-‘60s. According to a 2008 Baltimore City Paper article titled Car of the Future, Beaumont recalls having an epiphany. He was pumping gas outside his New York Chrysler dealership and noticed the fumes going into the air. Beaumont thought [the carts] could be used on the streets with a few modifications. The company built a few to his specifications, and the effort was enough to interest a backer in Florida, who set Beaumont up with a plant in Sebring, Florida. 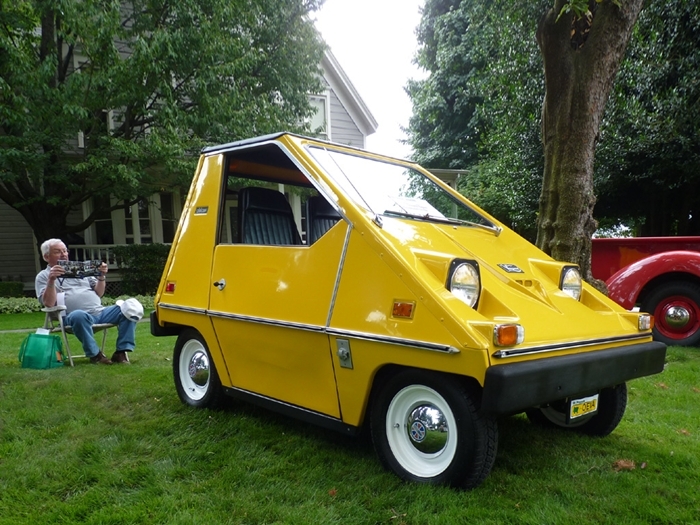 In 1974 the CitiCar began rolling out of the factory, and Beaumont’s Sebring Vanguard Motors became the sixth-largest car manufacturer in the country. Consumer Reports criticized the Government for exempting electric cars from “certain” federal safety standards, saying a 30-mph crash would imperil the lives of persons inside the “tiny, fragile, plastic-bodied vehicles.” Although the “certain” safety standards were not implemented for any 1975 automobiles--they were only proposed amendments--the damage was done and CitiCar sales immediately fell by 75 percent. In December of that year Sebring Vanguard halted the production of CitiCars. At Beaumont’s request, Consumer Reports printed a correction. At the same time, however, it stated that in a second test, the brakes had failed in a panic stop. 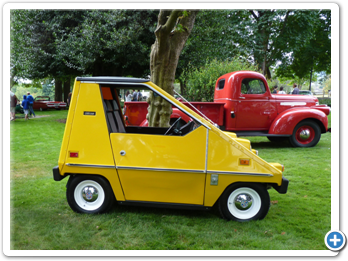 In July, 1977 the National Highway Traffic Safety Administration alleged the CitiCar had brake defects and other minor problems. 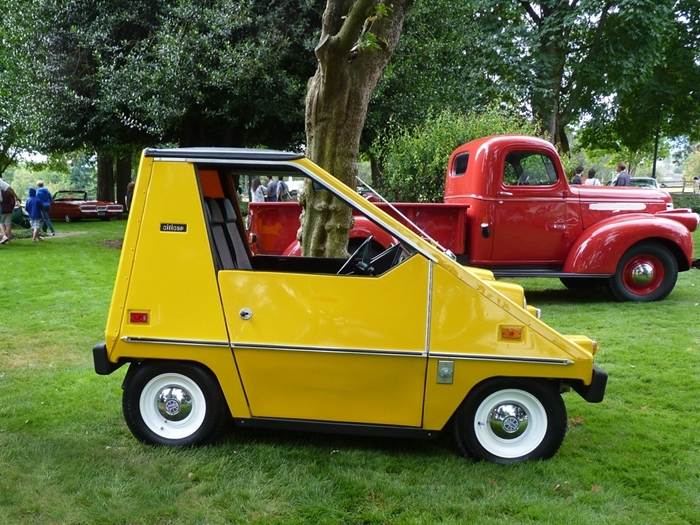 It threatened to fine the manufacturer $800,000 and force a recall of every CitiCar on the road. The combination of the Consumer Reports article and the NHTSA threat put Sebring Vanguard out of business. Ironically, as of 1979, 1500 CitiCars were still on the road and had logged 15 million miles without a single fatality. A company named Commuter Vehicles Inc. purchased the defunct Sebring Vanguard Motors and began building a larger and more powerful electric car named the CommutaCar (available in both coupe and van models). Sebring Vanguard Motors produced 2206 CitiCars from 1974 to1977 (according to Robert G. Beaumont). 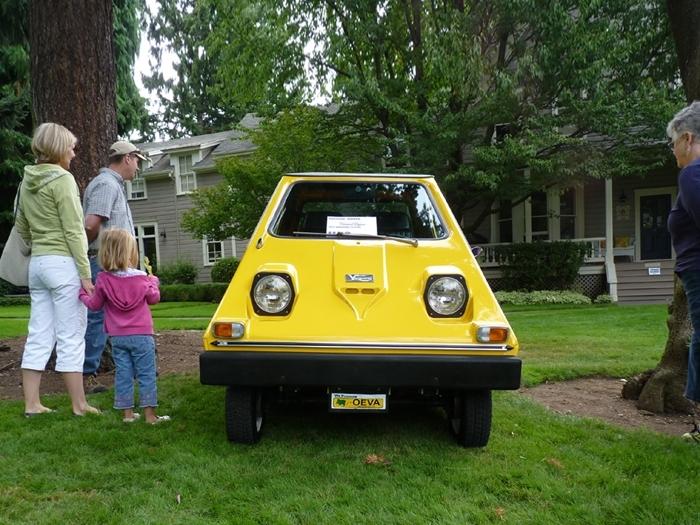 Commuter Vehicles, Inc. produced over 4,000 CommutaCars from 1978 to 1982.